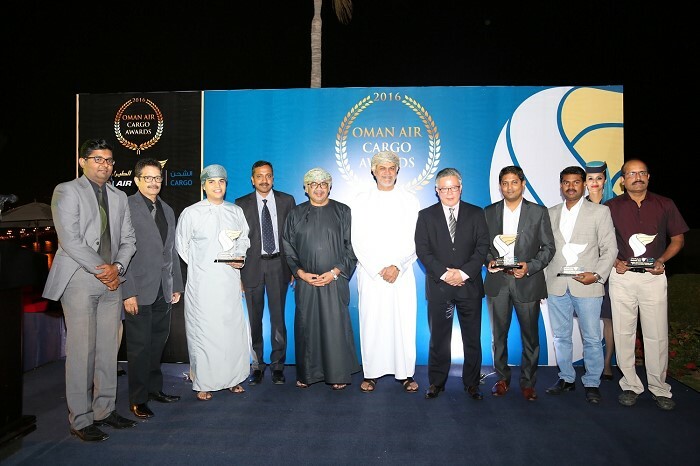 Muscat, Oman, 2016-Dec-19 — /Travel PR News/ — Oman Air Cargo, one of the leading national air cargo carriers in the region, held its first Oman Air Cargo Awards, on December 14th 2016, at the Crowne Plaza Muscat. The event was to recognize outstanding achievements among the cargo division’s local agencies, and to highlight its future development plans. “As the Sultanate of Oman makes rapid strides in all spheres of industry to further diversify its economy, the logistics industry has become an integral element of Oman’s future development plans. Oman Air Cargo took the opportunity to present its future plans of wider product mix that includes Express Cargo, Perishables, Pharmaceuticals, Valuables, Dangerous Goods, and Live Animals, conforming to industry standards and also set a new benchmarks to further enhance the National Carrier’s international operations. Guided by the Sultanate of Oman’s National Carrier, Oman Air, Oman Air Cargo is one of the most innovative and fastest growing Cargo Carriers in the world. With a soon to be completed state-of-the art cargo handling facility at its hub in Muscat International Airport, and a 100% cloud based cargo platform, Oman Air Cargo offers access to over 150 online and offline destinations across the globe. This entry was posted in Airlines, Airports, Business, Transportation, Travel, Travel Awards, Travel Management and tagged Mohammed Al Musafir, oman air, Oman Air Cargo, Oman Air Cargo Awards. Bookmark the permalink.